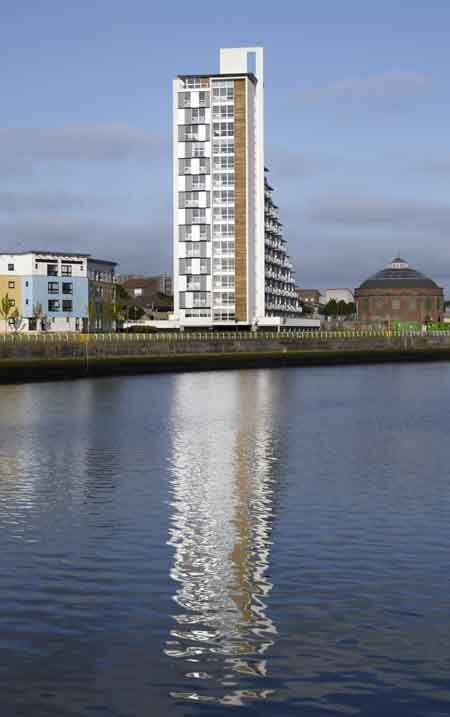 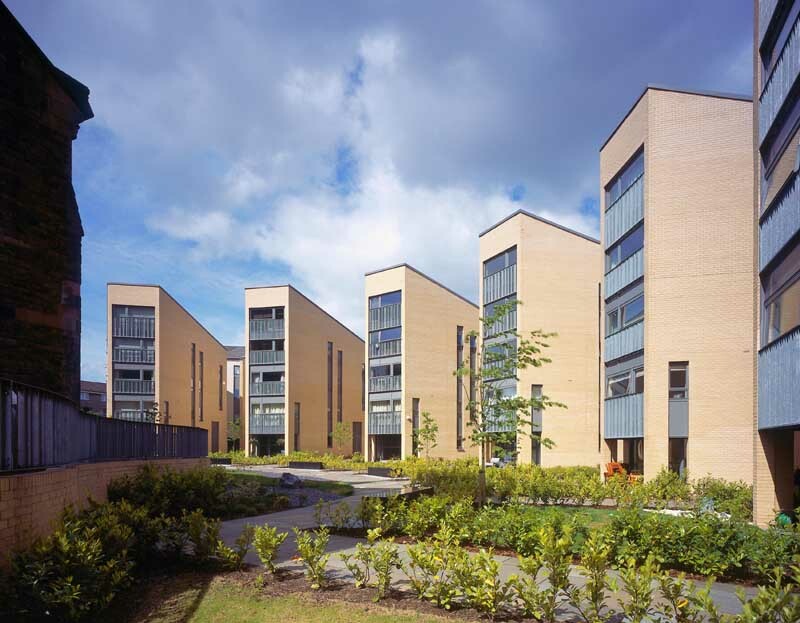 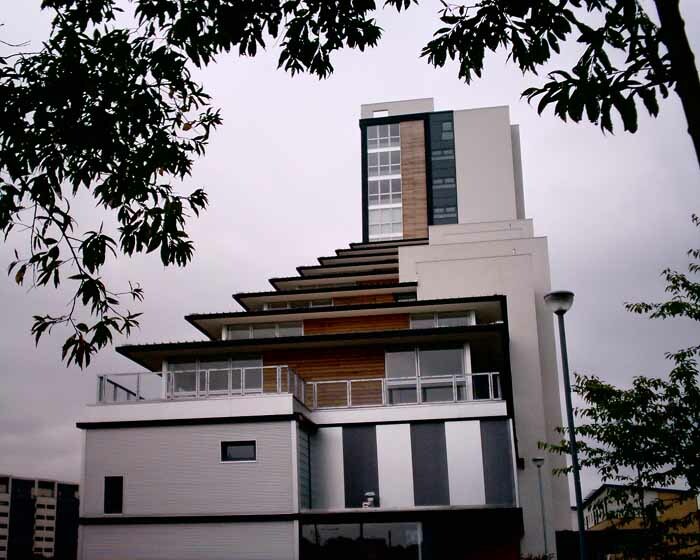 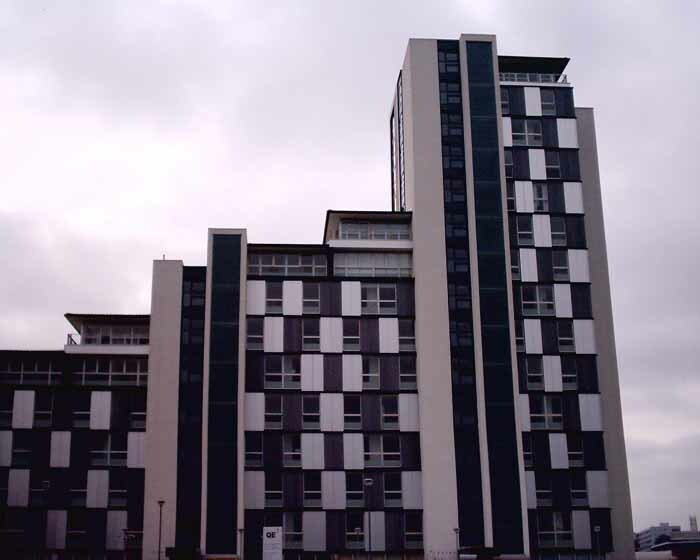 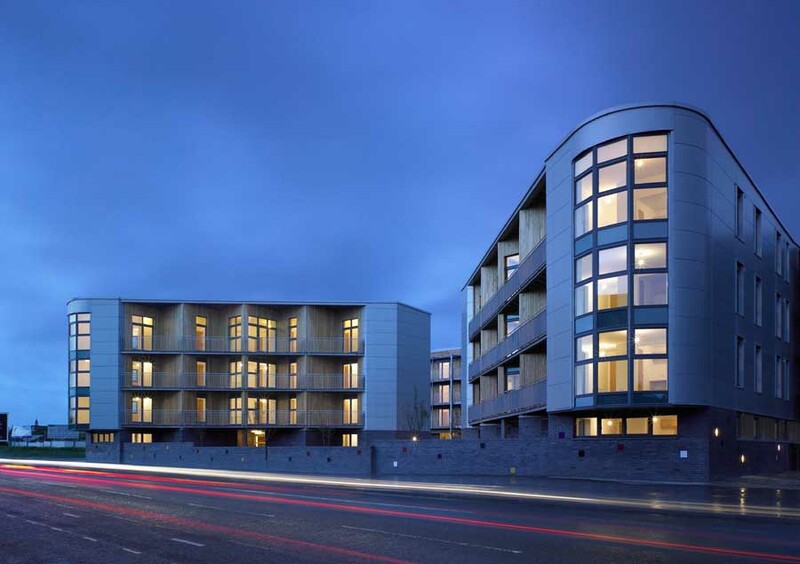 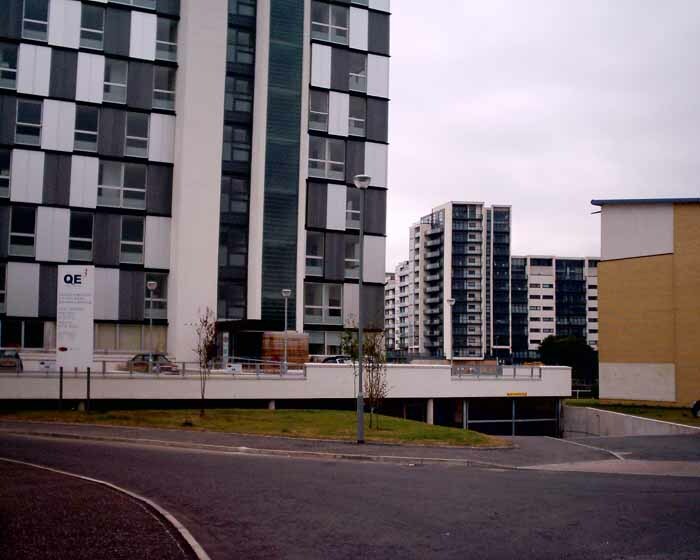 This modern apartment block is located on the south bank of the River Clyde opposite Lancefield Quay. 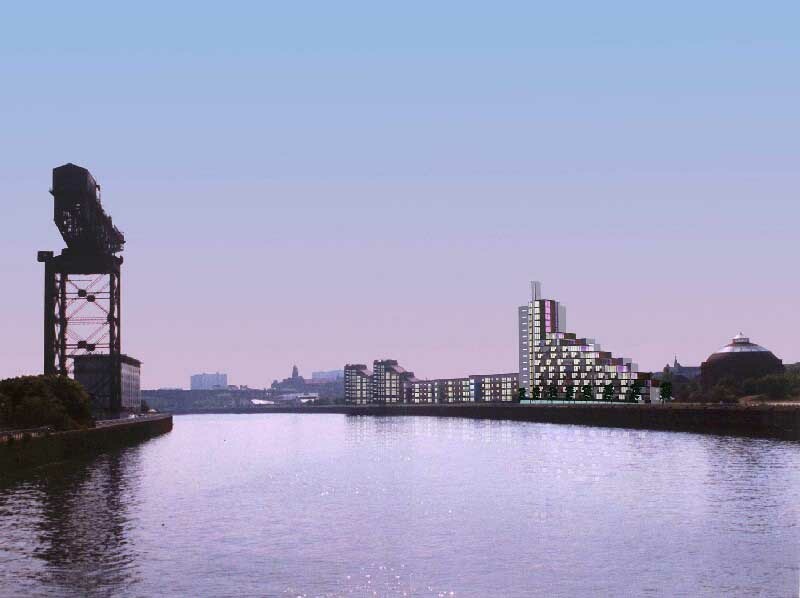 To the west is Pacific Quay and beyond the BBC Scotland building and Glasgow Science Centre. 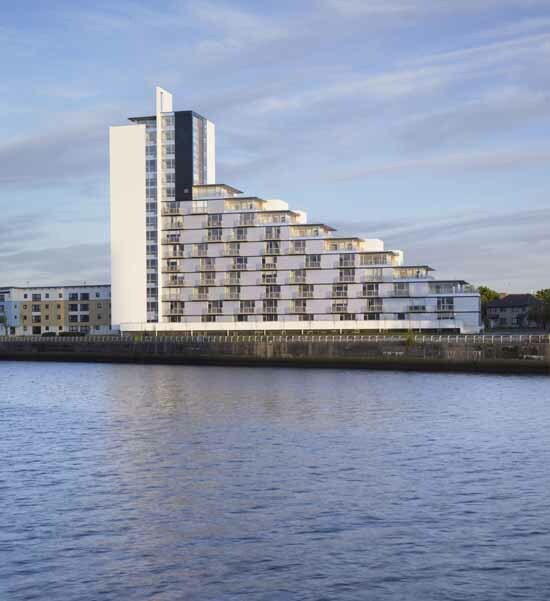 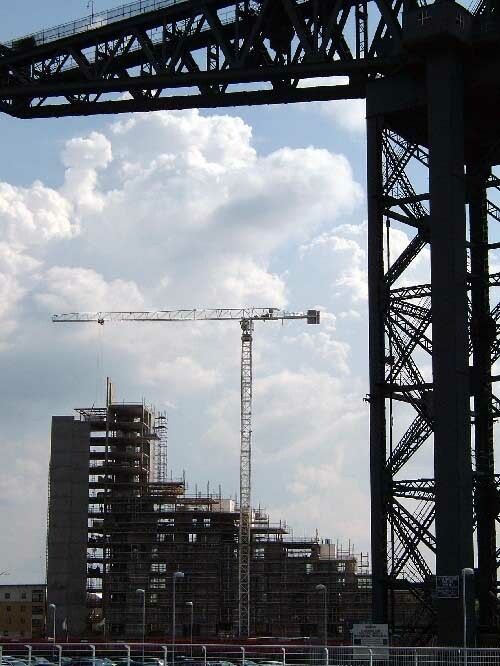 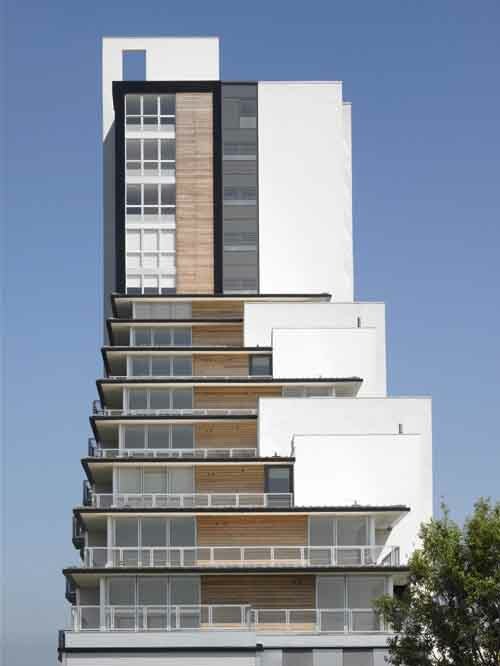 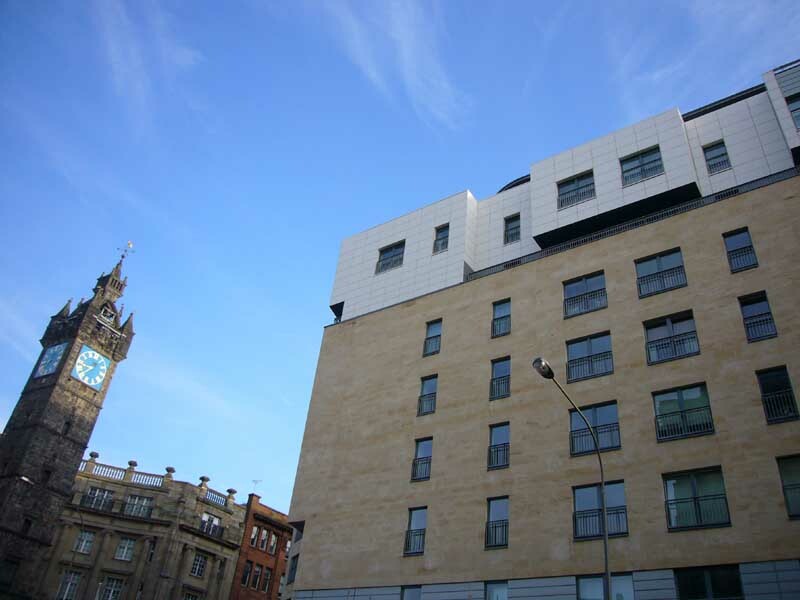 The style of the Queen Elizabeth Tower architecture is similar to blocks by the same practice at Homes for the Future and at Glasgow Harbour with bold rectilinear forms rendered in white.